It seemed like a potentially dispiriting blow: a government move to take over massive works of art, acres of land and multiple gallery buildings at the Inhotim Institute, a vast sculpture park and botanical garden in southeastern Brazil whose founder faces a prison sentence for laundering donations. Yet Inhotim is soldiering on despite the downfall of its creator, the mining tycoon Bernardo Paz. Various parties, including the Brazilian government, have stepped in to ensure that the complex in Brumadinho in Minas Gerais state carries on as usual. On 6 September the center will open a major exhibition of works by Paul Pfeiffer, Robert Irwin, David Lamelas and Yayoi Kusama, and this month it reached a milestone of three million visitors to date since it opened in 2006. Inhotim was initially hit last September, when a Brazilian federal court handed Paz the nine-year sentence for laundering $98.5m worth of donations to the institution in 2007-08 to fund the expenses of his other companies. Paz resigned as chairman of Inhotim’s board in May in the wake of other allegations tied to his companies, which ranged from the use of child labour to environmental crimes, leading to speculation about what would happen to the 5,000-acre park and its nearly 1,000-piece collection. Shortly before his resignation, the Minas Gerais government, which values Inhotim as a touristic and cultural asset, struck a deal with Paz in which 20 works from its collection, including installations by Matthew Barney and Kusama, would be transferred to government ownership to cover his debts. However, the deal states that none of the works can be sold or removed from the institution and that Inhotim retains its stewardship of the works. In July, Inhotim announced that Paz, who is currently appealing his conviction, had offered the government land and multiple gallery buildings on the site under the same deal, which will help pay more than $150m in liabilities left by his companies. Paz still retains ownership of the remainder of the collection, and it is unclear whether these works, many of them never shown before, will also be protected under a similar deal. 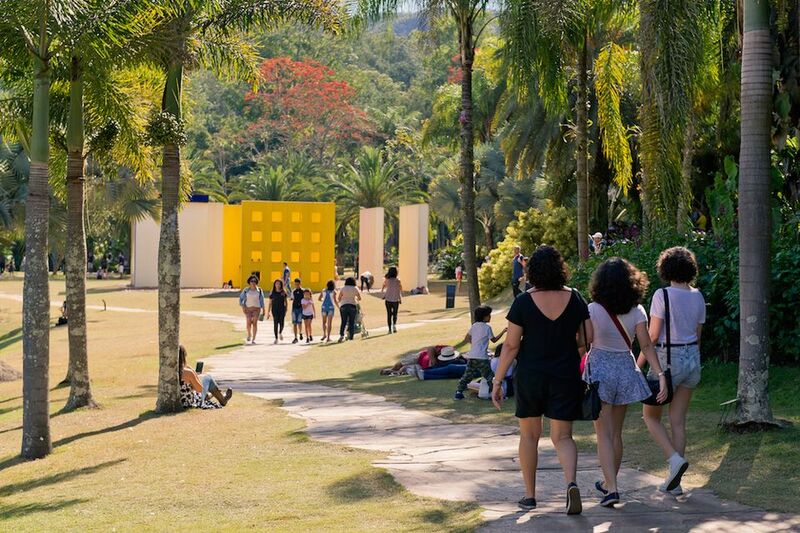 Alan Schwartzman, the chief curator of Inhotim and chairman and executive vice president of Sotheby’s, says that government intervention will not visibly change Inhotim’s collection or programming. “When Inhotim began as a private collection, the intention was always to turn it into a museum that would live beyond all of us,” he says. For Schwartzman, the government intervention can even be interpreted as the “next step to ensuring the longevity and sustenance of the institution”. A few artists with works at Inhotim shared their thoughts on the allegations against Paz. The Brazilian artist Delson Uchôa says that the institution is like “a sweet fruit with bitter roots”. Uchôa adds that in his view, Inhotim “has grown beyond its creator and must keep functioning in a good direction like now, with the public maybe coming to accept Paz’s mea culpa”. The American sculptor John Ahearn says that Paz “had a hand in everything my partner Rigoberto Torres and I did there as artists-in-residence, and I have enormous gratitude and appreciate for the opportunities given to us at Inhotim”. He says that “was not in defense of the oppressive conditions that made the art investment possible”. The American artist Dan Graham has less favourable memories. Graham argues that his work, a sculpture called Bisected triangle, Interior curve (2002) that was originally commissioned by the Public Art Fund and resold to Inhotim by the New York-based dealer Marian Goodman, was “out of context” in Inhotim. The artist says that Paz, whom he describes as “a cancer”, was “isolated from the local community” and “somewhat creepy and self-indulgent in general”. On the positive side, Graham says, “I got to see a work by Neo Meyer and Marian Goodman made some good money”. Gazel introduced a code of ethics and created a blog posting Inhotim’s audits from Ernst & Young to frame the institution as a more transparent entity. 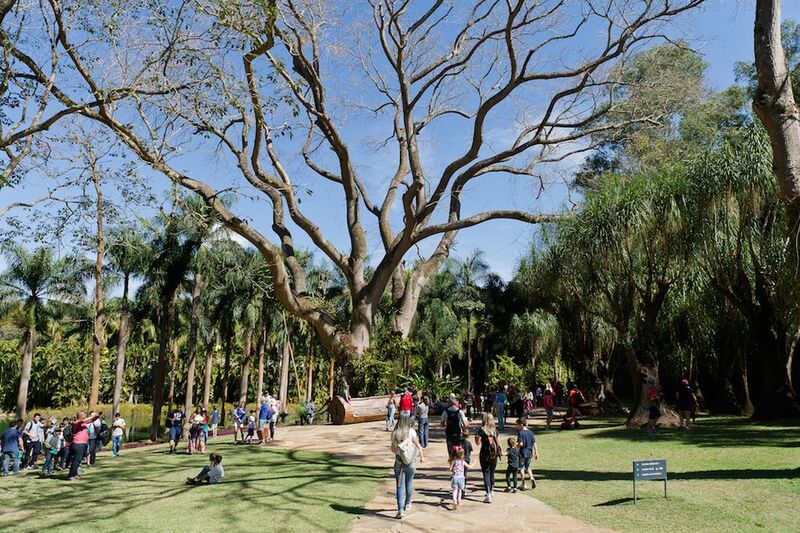 The silver lining of the situation, Gazel suggests, is that the uncertainty after Paz’s departure “perhaps made visitors and our partners understand the value of Inhotim”. “When people come here, there’s no comments about Bernardo or the situation—people are just appreciating the park for what it is,” Gazel says.